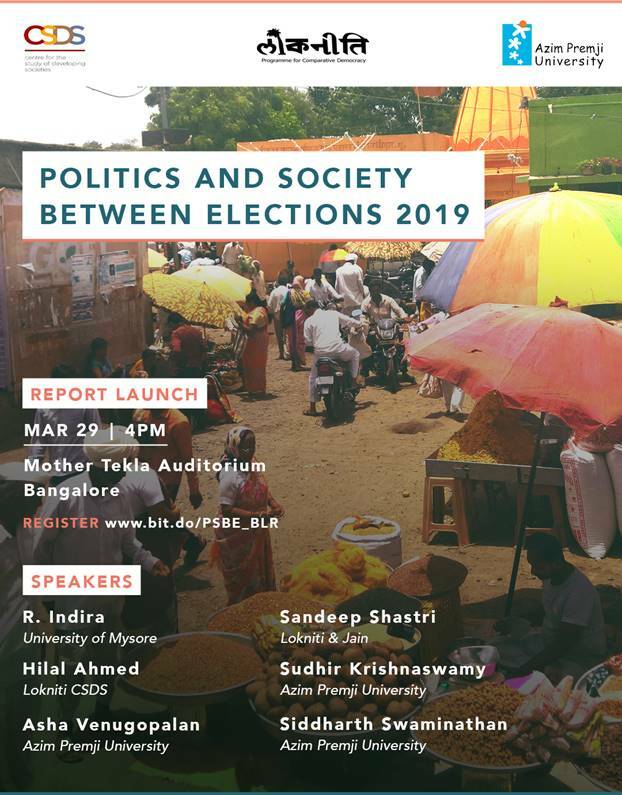 CLPR Co-founder Sudhir Krishnaswamy will be presenting at the release of Politics and Society between Elections 2019. The report surveys public opinion in India between the 2017 and 2019 General Elections. It focuses on political subjectivities, social attitudes, friendship networks and governance outcomes. It serves as a tool for understanding the upcoming elections. It covers 23 States and the National Capital Region. The launch event includes a presentation of the main findings of the report as well as remarks by well-known experts.